Here are examples to call Lawson Web Services from PHP for all three adapters: API, M3 Display Program (MDP), and SQL. 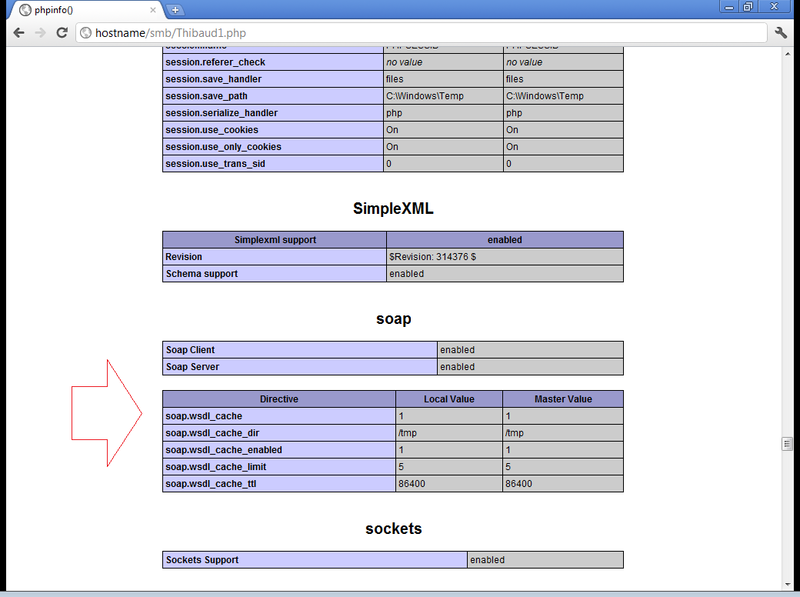 In the past, I used the external NuSOAP toolkit to make SOAP calls in PHP. 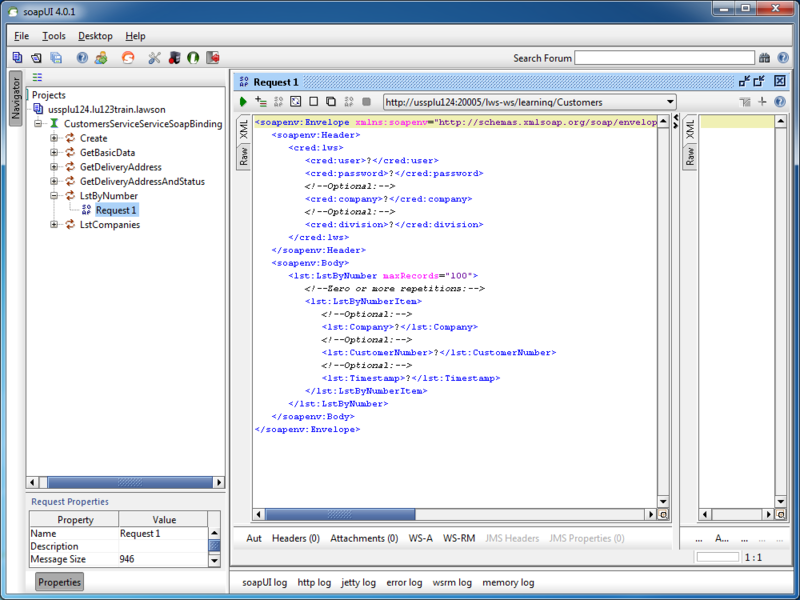 Now, PHP 5 comes built-in with SoapClient. To determine the endpoint or the WSDL to our Lawson Web Service open the Lawson Web Services Runtime Management Page which you can launch from LifeCycle Manager or from Lawson Web Services Designer. 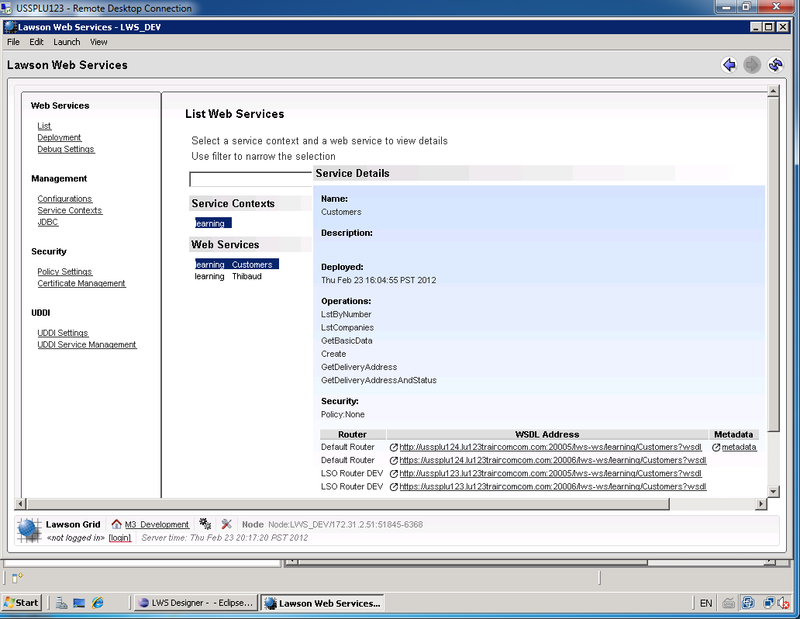 Select List, select the Service Context, and select the Web Service. 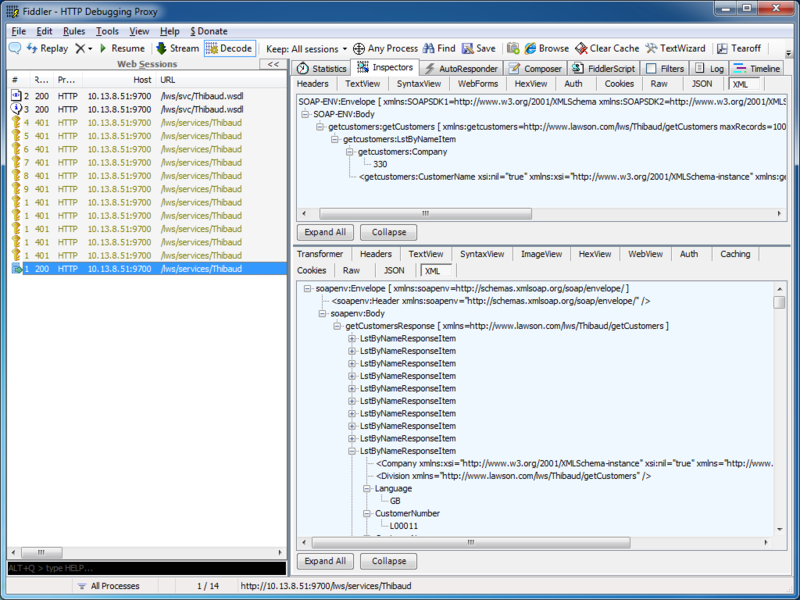 I recommend using tools like Fiddler or soapUI to determine the exact structure of the SOAP Request and SOAP Response to call our Lawson Web Services. Here is a sample PHP code to call a Lawson Web Service of type API. The Web Service name is Customers, the operation name is LstByNumber. It calls the API CRS610MI.LstByNumber. It accepts Company and CustomerNumber as input fields; note the suffix Item in LstByNumberItem for the collection of input fields. It returns CustomerNumber and CustomerName as output fields; note the suffix ResponseItem in LstByNumberResponseItem for the collection of output fields. Here is a sample PHP code to call a Lawson Web Service of type M3 Display Program (MDP). The Web Service name is Customers, the operation name is GetName. It works in CRS610/A/E, it accepts W1CUNO as an input field, and returns WRCUNM as an output field. Here is a sample PHP code to call a Lawson Web Service of type SQL (JDBC). The Web Service name is Customers, the operation name is Search. It works by doing a SELECT FROM WHERE on OCUSMA, it accepts CustomerName as an input field. And it returns OKCUNO and OKCUNM as output fields; note the new1Collection and new1Item automatically generated. Thibaud I need help in calling the web service which is going to update MMS001’s 22 fields onthe basis of ITNO,If you will provide your Macro code calling MMS010 in your video I will be very grateful,Thanks in advance. Just as you did with webservices and PHP, could you tell me how to simply write a php call to the rest API with authorization header.